« Daydreaming About Your Exit Strategy? Over the Memorial Day Weekend I had the pleasure of trading in my office tools for trail maintenance tools. Volunteering for an Appalachian Trail Work crew is one of my favorite ways to relieve stress. And it is most effective. 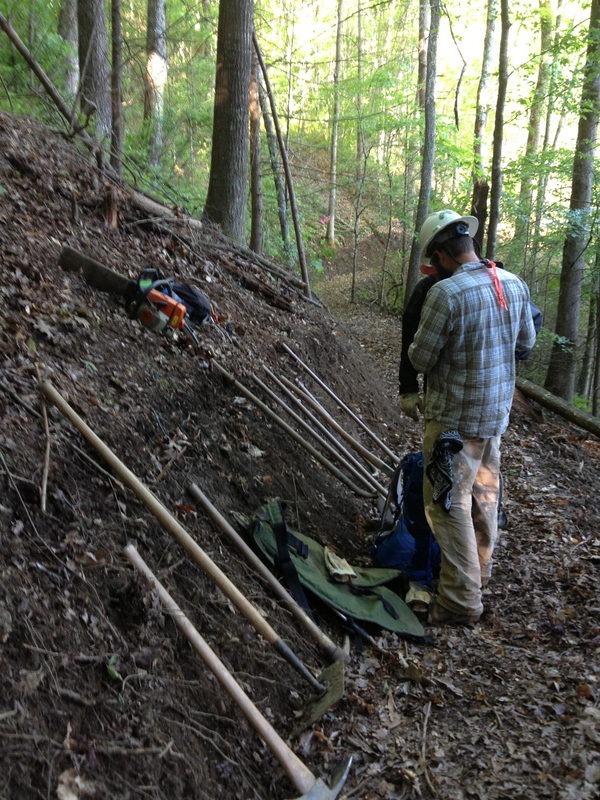 I spent a full day working with the Konnarock crew on a trail relocation near the Fontana Dam shelter. Swinging an axe to remove roots while relocating a trail will zap the stress right out of you. Guaranteed! Oh, and the fact that there is little to no cellular service in and near the National Park is a nice bonus. I was happy to trade my Macbook Pro, iPad and iPhone for a Pulaski, McLeod, and a hazel hoe for the day. 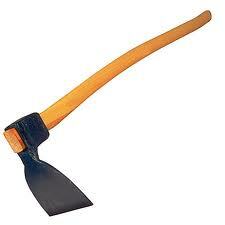 The Pulaski combines an axe bit with an adz-shaped grub hoe on a 36 inch wood or fiberglass handle. It is preferred by many trail crews for loosening dirt, cutting through roots, or grubbing brush because it is widely available and easier to carry than single-purpose tools. 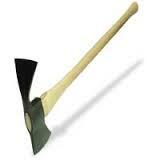 Unlike grub hoes or mattocks the Pulaski is a sharp-edged too, and should not be used in rocky soil. Grub hoes of various weights are available and are good for building and repairing trail tread and for digging trenches to hold turnpike logs and waterbars. They usually come with a 34 inch handle and a six-inch-wide blade set at an “adze angle” and are maintained and used like a mattock. Grub hoes are not usually sharpened. The McLeod, with its large hoe like blade on one side and tined blade on the other is a forest fire tool common in America’s western mountain ranges. 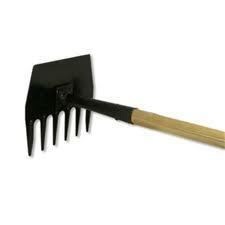 It was originally intended for raking fire lines with the teeth and for cutting branches and sod with the sharpened hoe edge. The McLeod is useful for removing slough and berm from a trail and tamping or compacting tread. 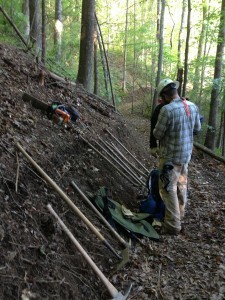 It can also be used to shape a trail’s backslope. Not only is the work that you do with these tools backbreaking, the tools themselves are heavy! After just one day, every muscle from the top of my head to the bottoms of my feet was awake and talking. Some were saying “hey, it’s been a while I thought you forgot I existed”. Others were down right screaming “what the heck did you do to me!”. With my busy schedule over the last couple of years, I haven’t been able to help out nearly as much as I’d like. In lieu of week-long work trips I have volunteered for in the past, I’ve had to settle for a day here and there. My muscles are actually thanking me for that today. Being off the cellular grid and working up a sweat is good for the soul. Even if it’s just for a day. What do you do to rejuvenate?